So simple, so good. These will satisfy a sweet craving, fast. Refined sugar is one of the worst things we consume. It has been linked to weight gain, diabetes, obesity, acne, pre-mature aging, and inflammation. But, let’s be serious, sometimes we want something sweet. When you desire sweet things, one of the best things you can do for yourself is to choose a natural, ideally fruit based sweetener instead. In this care, these cookies are sweetened with full dates. And while they may be high in sugar themselves, they come with fiber and nutrients our body needs, making them a much smarter choice. (If you need some more help getting over sugar, check out my free 3-day Sugar Detox). Aids in Digestion & Elimination, thanks to their fiber content. Satisfies Sweet Cravings, without need for refined sugar. May Improve Memory & Learning Ability, thanks to their abundant antioxidants and fiber. Preliminary animal research suggests they may help delay the onset or slowing the progression of Alzheimers Disease. (source). 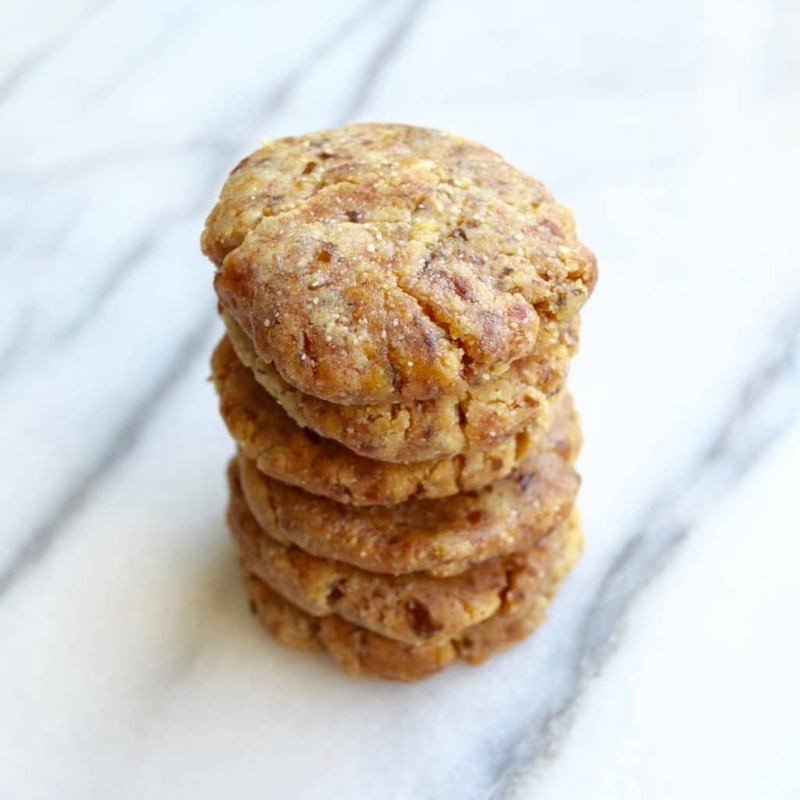 By turning the dates (a boring fruit) into a cookie (its more exciting to eat dessert, right?) we can satisfy our sweet craving in a seemingly still indulgent and fun way, but without the down side of refined sugar. My assistant tasted one and asked if she could order a dozen. 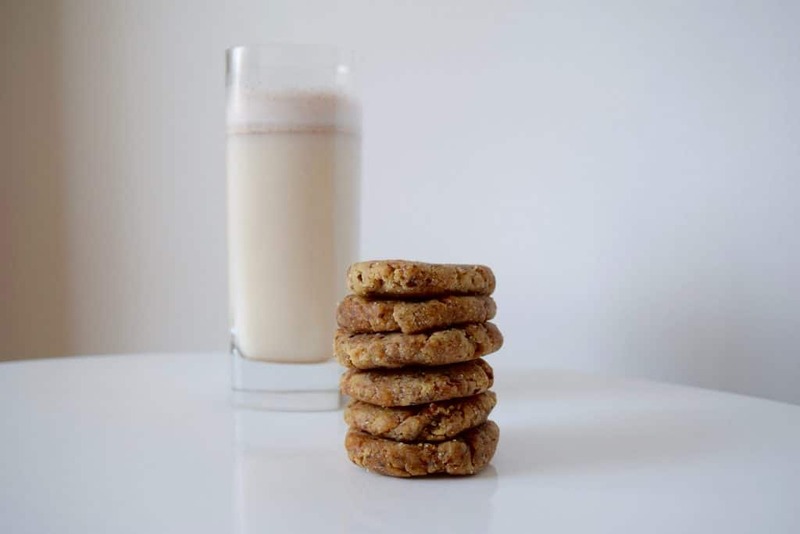 Here is the recipe for these delicious Chewy Almond Date cookies. (which are vegan, gluten-free, and paleo). Place all ingredients in a bullet blender or high speed blender, and blend until a dough like consistency is formed. (It may be a little crumbly, but use your hands to squeeze together - If it doesn't stick, blend it more. If it does, move on to the next step). Scoop out the dough, divide it into six even size portions, and squeeze and roll each into a ball, and then flatten into a cookie shape between your palms. Eat as is, or if desired, heat an oven to 250 degrees Fahrenheit, and bake for 5 minutes, for a warm, just out of the oven cookie. Thanks will try the cookies, I need to get away from eating too much sugar also…..I love dates, prunes,etc…..